The Furuno DFF1-UHD Chirp sounder is now shipping in the USA. 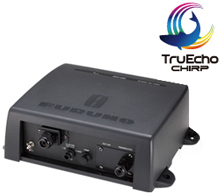 According to one of the fish-finder guru’s on THT – The Furuno DFF1-UHD Chirp unit is now shipping in the USA. We look forward to hearing more about that compared to Simrad, Raymarine & Garmin Chirp sounders.